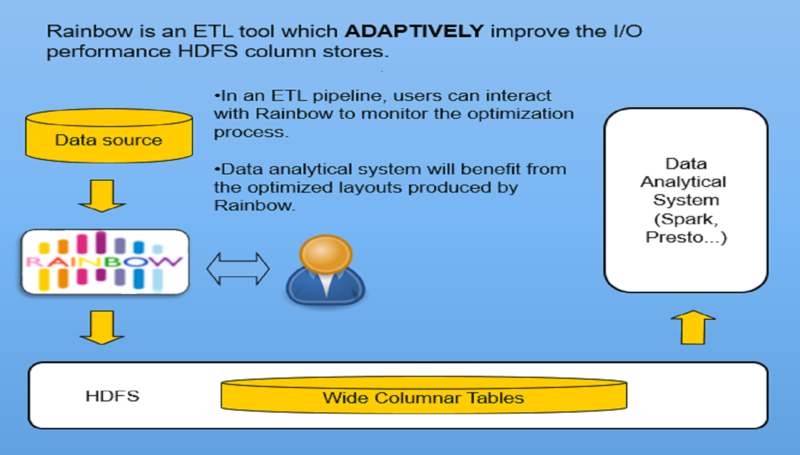 Rainbow is an ETL tool which ADAPTIVELY improve the I/O performance HDFS column stores by reducing the disk seek costs. User can interact with Rainbow to monitor the optimization process in an ETL pipeline. LabDBIIR. TeamSAI@ Renmin Univ. of China.